Routledge Translation Guides cover the key translation text types and genres and equip translators and students of translation with the skills needed to translate them. Concise, accessible and written by leading authorities, they include examples from existing translations, activities, further reading suggestions and a glossary of key terms. how to read for translation. A range of sustained case studies, both from existing sources and the author’s own research, are provided along with a selection of relevant tasks and activities and a detailed glossary. The book is also complemented by a feature entitled ‘How to get started in literary translation’ on the Routledge Translation Studies Portal (http://cw.routledge.com/textbooks/translationstudies/). 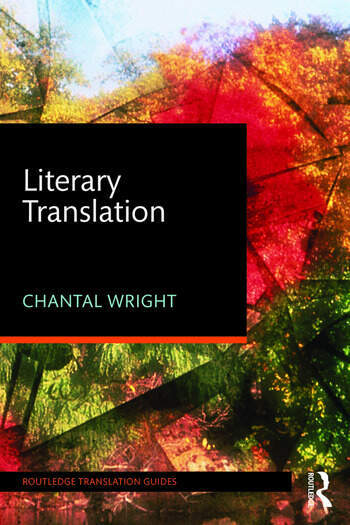 Literary Translation is an essential guidebook for all students of literary translation within advanced undergraduate and postgraduate/graduate programmes in translation studies, comparative literature and modern languages. Chapter 1 Why do we translate? Chapter 2 How do we read translations? Chapter 3 How do translators read?